During the summer, my second cousin who was 13 at the time, came over to visit from Germany. On his second day, he picked up my acoustic guitar and found it sounded out of tune. What comes naturally to him is to know where to look to fix problems, by watching others on his iPhone. In an instant, he had a YouTube video showing how to tune a guitar. After balancing his iPhone on his knee, he switched his attention to the real guitar and located the D string. He began twisting the peg it was attached to, to wind up the string. I could hear it in the background ‘do, do du, du, de de, da da, din din’ and then an almighty ‘ping!’ The string had snapped in dramatic fashion. He looked up in surprise and then over to me rather sheepishly. The video had not warned that winding a string too far could cause it to snap. I subsequently looked at some of the YouTube videos demonstrating how to tune a guitar. There are hundreds. But not one of them mentioned the danger of turning a peg too far. 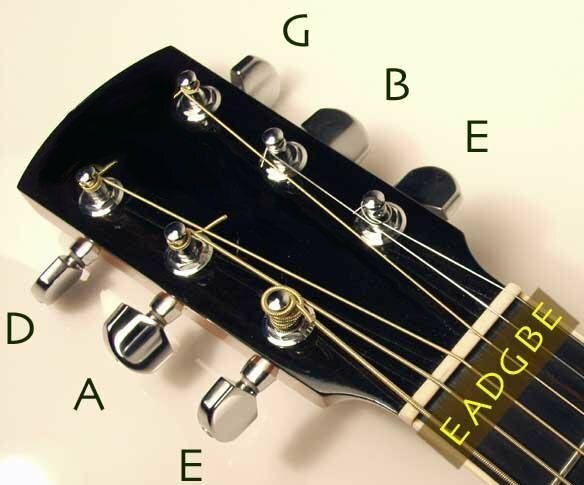 Instead, they all focus on the best way to learn; which is to develop your ear to hear the notes of the six strings. One nice chap provided a mnemonic for remembering the sequencing and notes of the six strings “Eddie Ate Dynamite, Good Bye Eddie.” Befitting, I thought, as the string that pinged was the D – dynamite string. What always surprises me is just how many people watch YouTube videos. For the ones I looked at, there was a staggering number of between 1 and 3 million views for each. Looking up on the internet how to do something is second nature for my cousin and his generation, whether it is how to bake a cake, use a software app, or change a plug. The trouble – as we saw with the tuning a guitar videos – is that they do not give the full story. They can explain a phenomenon and tell you what best practice is. They can make a skill seem easy to learn, when someone else is showing what to do in front of the camera, but they cannot convey the whole story. Tuning a guitar string is a visceral experience; besides listening to the sound it makes you need to know how taut it is so you know when to stop before it snaps. The same with many other physical activities. 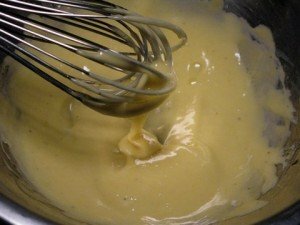 It is one thing to watch someone make mayonnaise, remove the flesh from a lobster or change a car tyre; it is another to feel the texture, resistance, lumpiness, etc., of what is being cooked or changed. One might think one has understood what is being shown but enacting it oneself is a different story. But online courses that are designed with the student in mind, based on sound pedagogical theory, can be very effective at imparting knowledge – as anyone who has followed an OU course knows. During the last year, we have witnessed the rise of the MOOCs movement (massive, open online courses). Most notable, is the American online site, Coursera, which has grown exponentially. It now boasts 1,993,235 students who have taken one of their 207 free online courses that range from Neural Networks for Machine Learning to “Contraception: Choices, Culture and Consequences.” It was launched earlier this year by computer science professors Andrew Ng and Daphne Koller with four top US university partners – Stanford, Michigan, Penn, and Princeton. It now has 33 partner universities, worldwide. How have they managed that in such a short period of time? Simple. The site is highly professional with top professors delivering short courses for nothing. It also provides a platform that just about any university can use. The descriptions of the courses and instructors are also very appealing. They run for 5-8 weeks and don’t require more than a few hours study each week. Even I was tempted to sign up to one of the courses. The massive online learning experience is also starting to happen from a grassroots level in the UK. On the BBC website today was a report about a new photography online course that has been hugely successful. The university-based course run by Jonathan Worth and Matt Johnston in an old cinema in Coventry, is attracting as many as 35,000 students for each session. That is enormous – even by the Open University standards, which prides itself on teaching openly to large swathes of students, irrespective of their age, background or education (The OU needs to watch out if it wants to stay ahead of the online learning game). Once a week, some of the 35,000 traipse over to the cinema to take part. But most log on via the Internet from all over the world. They join in a discussion about what a 21st Century photographer is. The tools they use to talk to each other are the ones that everyone uses now: twitter and blogs. What is really attractive about the class is that it sometimes draws big names in the world of photography to the online forum. So, an anonymous dude in Sri Lanka could end up having a conversation with one of the greatest living photographers in the UK. How exciting is that prospect? It is a bit like bumping into a famous person on a train but with the potential of having a more enriched experience than simply oggling and snapping a hurried photo. You’re guaranteed someone well known will be in the class but you never know who else might show up or whose words might be retweeted and commented on by lots of other people. Since we all crave recognition and appreciation of our ideas in public it is a perfect venue. Millions, too, watch Ted talks and are inspired. Webinairs have also become popular in industry. And what with millions now following Brian Cox’s every word, online is the place to learn – provided you can put it in to practice.